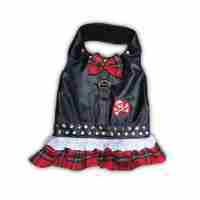 This Red and Black Buffalo Plaid Dog Harness Dress Style is made for your little girl biker doggie. 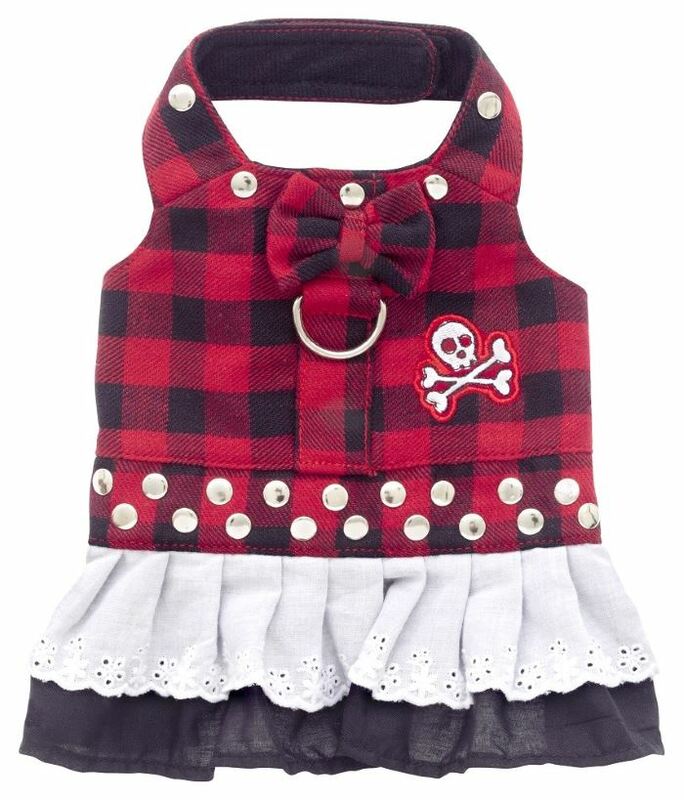 There's a buffalo plaid bow tie accent and check out the snazzy embroidered skull and cross bones emblem! This is not for the shy and timid type. 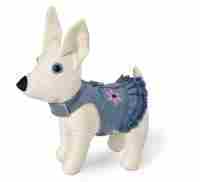 Give your sweetie a little edge while walking down the street in this cool biker dress. 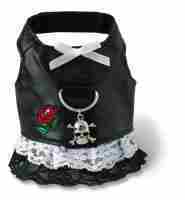 The Red and Black Buffalo Plaid Dog Harness Dress Style has a solid D ring for leash attachment.